I want to sort my products by the product category in my website. I use wp-ecommerce and goldcart plugin. I have figured out to open the php file, but I saw that between the mentioned rows there is already some code. Should I delete it? Or what code should I keep? I’m new in using php code and I need more details. Eventualy I can provide to you my php files, wpsc-products_page.php with the default view, and the gridview.php if you can help me. Those code inside the blocks will be there. Else how the products will be displayed. Thank you for your reply Subharanjan! I thought that I shall let that code undeleted. But the code provided by you shall be copyed and pasted in my php file and that’s it? Or shall I intercalate it with the original code? Yes, this code I have displayed is just for demo… You have to intercalate this code with the original code of wpsc-products_page.php file. I was looking for this so many time and before trying it looks like I need. I don’t understand why e-commerce doesn’t give more facilities for do this (a nice guideline). I tried to do it with old WP-Query but then you have troubles using the wpsc_product function in the loop! Thanks for sharing! and again. buh. here. Sorry for spamming your comment thread. Not sure, what might be the problem at your end. But you need not have to close the ” } ” after the custom query, as there is a foreach loop for the categories. Download this file(wpsc_products.php) and match it with yours. yes! That worked. I’m not sure where things were falling apart for me. Sloppy cutting/pasting, most likely. I really appreciate your help – and this fantastic solution to what I’m sure is a common need. Thank you so much! I use the wp e-commerce and gold cart plugins on my page. I tried your solution, but it does’n work. 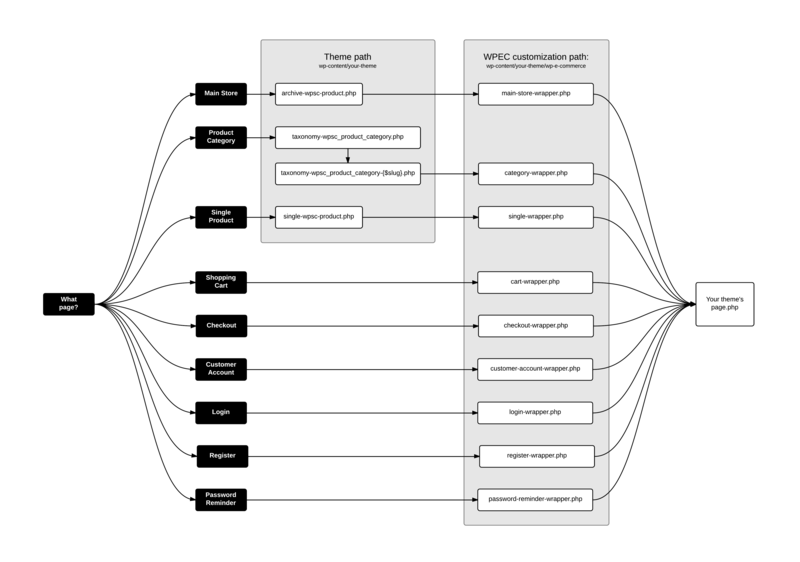 If I understand correctly, I download your modified wpsc_products.php file. Delete the original wpsc_products.php file, than I add your wpsc_products.php file. I did it, but it isn’t working for me. Hi and thanks for your example! Hi Pirkka, Yes we can control the order of the display of categories on the page by passing some extra parameters on the product query arguments. That works! Thanks again for the help! Thanks a lot for this post, you saved my life !! My customer asked me to offer two different displays for a category page: all products on one single page, or on several pages using pagination. I changed a bit your code to fit my needs and it seems to be working quite well ! or any other order I’d like? I try to do that, i copied already, but it wasnt work for me. After i tryed the file, which i download, but it was the same. Is it works by the newest ecommerce as well? Before that, can you check if you have the same file inside your current theme directory as well as inside the e-commerce plugin theme folder ? I have used wp-ecommerce plugin in my site and is working fine. I have used your code to display categorywise products on the product page. Also I have set the product page as my website’s homepage. Now when I click on the category name from homepage I get page not found error. Can you provide the site url here ? I am looking to customize the display a little. I would like to have a grid view of the categories only when clicking on the “Products Page” then when a category is clicked I want it to display only items from that category, with out the grid view of categories. Can this be done? Yes, its possible I guess. Will get back to u. Looking for the same functionality as Zachary. Thanks! Hi Subharanjan, thanks for the fantastic code. I’m trying to split my products by category on to two separate tabs within my products page. I have the basic idea working but just can’t work out how to specify the category – at present the same category is repeated on both. Any idea what I’m doing wrong? Hi Gavin, Can you pls share the code you have written ? If possible send it to subharanjanmantri@gmail.com so I can have a look. Hey! I was able to resolve the issue. Thanks! I had another query.I want to integrate Amazon checkout for payments in wp-ecommerce. Anyone having idea about this? Hi Subharanjan, thanks for the code. Can you help me because i want each category title to have link so that it will go to the category page. Thanks. How About Using Pagination sir? Thanks. How about selecting some products only from different products category? if you click on optics it opens to sub categories in optics and so on…. How could i display product on date wise? If i want to display some product on monday then how could i can dispplay that? You can try the date query.